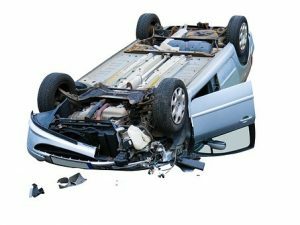 Hadley, MA (July 5, 2018) – A driver in Hadley, Massachusetts is in the hospital following a serious crash on Thursday afternoon. The crash happened on South Maple Street near Mill Valley Road and Moody Bridge Road just before 5:00 pm. When police arrived on scene, they found a car flipped onto its hood lying in a ditch off the side of the road. The driver was unconscious inside the vehicle. A telephone pole was knocked over and strewn across the roadway. Medical personnel and police worked to extricate the driver from the vehicle. The driver was rushed to Baystate Medical Center with unknown injuries. The roadway was closed for several hours while policed worked at the accident scene and the telephone pole was repaired. There is no word at this time on why crash occurred.